Hey guys! So I need some options. I know at the end of the the day it comes down to personal preference but what are your guys thoughts on this trade? 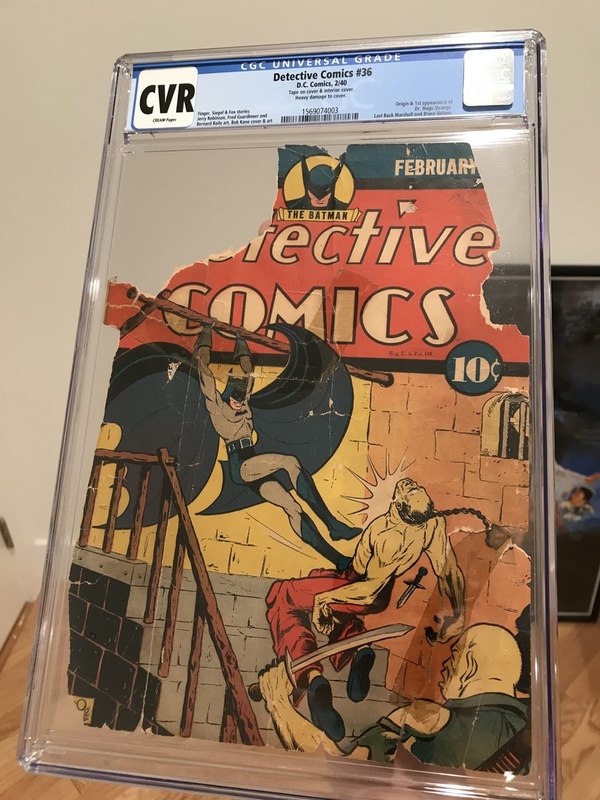 I have the front cover to dtevteuve comics issue 36, it is the 10th overall Batman appearance and 6th cover ever, it is a classic cover and is a pre robin Tec which are so hard to find and pricy always, the cover is so scarce and presents nicely in the case. 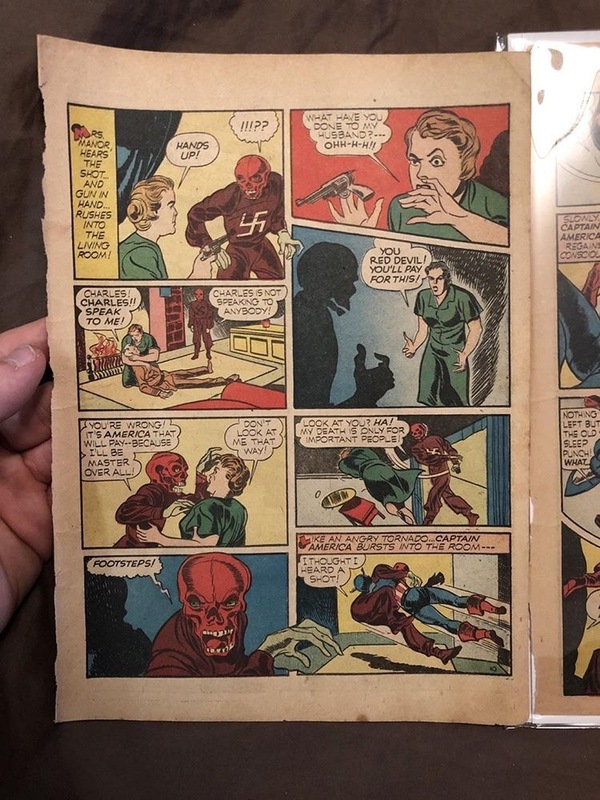 It features the first appernace of Hugo Strange and overall is a simple beauty and if I ever find a coverless copy I could marry the two and get a qualified grade. 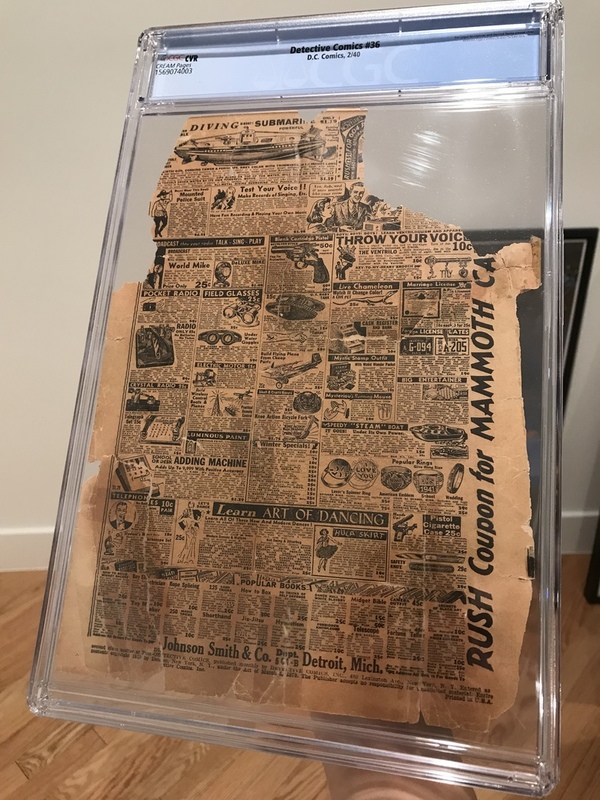 The thing I am trading it for it a raw page. 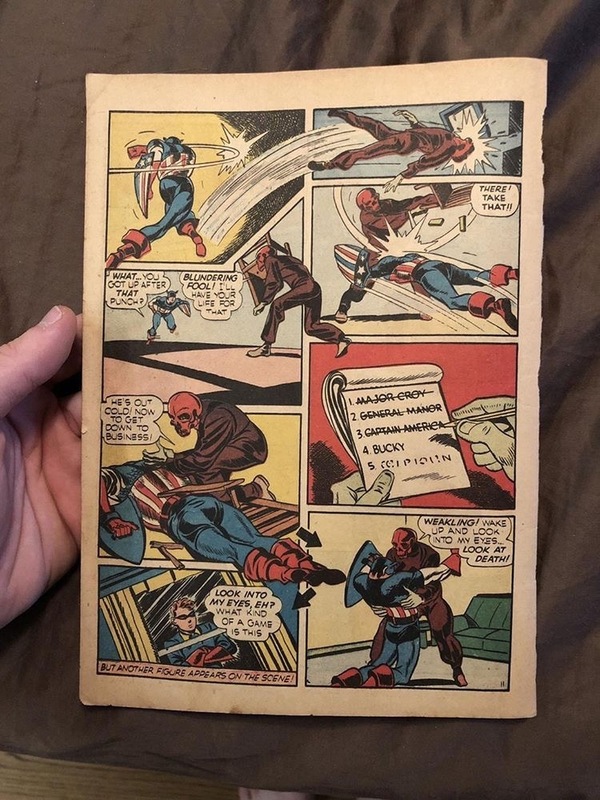 It’s the 22nd page from captain America 1, which features the first appernace of cap, buck and the red skull. This page is from the red skull story and is one of the coolest in the entire book. It is the first fight between cap and red skull ever and is nice supple pages. The page for cap 1 is not graded by I would plan to have it graded anyways. I have no idea of the potential "value" of each of these pieces, but I would opt for the Captain America page purely on aesthetic grounds. It's a clean action-packed page suitable for display. The Detective cover is a bit of a needle in the eye. I would not enjoy looking at it. The Captain America page because it displays well and it’s just looks better. Thank you soft the feedback, I still have to think about it, I might be going with the cap 1 page and trading off the Tec cover. But I’m 100% just yet. I would make that trade, I think that page is awesome. - early Batman appearance but not 1st appearance. EDIT: An argument can be made that this Tec 36 is not the 1st appearance of Dr. Hugo Strange as he does not appear on the cover and obviously nowhere else on this piece. The Captain America page absolutely has the 1st appearances. Thank you guys for all the opinions my final decision is I’m accepting the trade. I care for he cover a lot but I agree that the red skull page is much nicer Thanks! I am the worst trader in history, so I would sell something and buy the Captain and own both. Neither appeal to me, but if they did I'd trade away the tec cover simply because it looks brittle or pretty close to it. You can't regain page quality. It is pretty close to being dust. The cap page has a longer future. I would have made that trade in a heartbeat, and I'm a much bigger Batman fan than I am of Captain America.